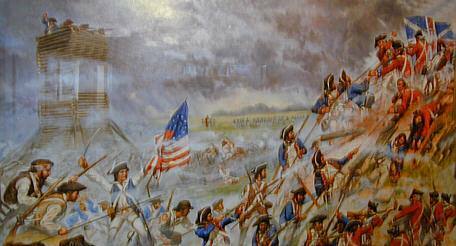 On this day in history, May 22, 1781, the Siege of Ninety-Six begins against Loyalist troops at Fort Ninety-Six, South Carolina. Ninety-Six is a still existing village in South Carolina's backcountry. The origin of the name is uncertain, but it likely has to do with the distance from Ninety-Six to a common travel destination, such as Lexington, South Carolina or the Savannah River. By mid-1781, the American General Nathanael Greene had begun taking back the south from the British. Assisted by Generals Thomas Sumter, Francis Marion, Andrew Pickens and Col. "Lighthorse Harry" Lee, British posts across Georgia, North and South Carolina began to fall one by one. In May, the only major inland strongholds remaining were Ninety-Six in South Carolina and Augusta in Georgia. On May 22, sieges were begun against both of these inland posts. Henry Lee and Andrew Pickens led the siege on Augusta, which finally surrendered on June 6. 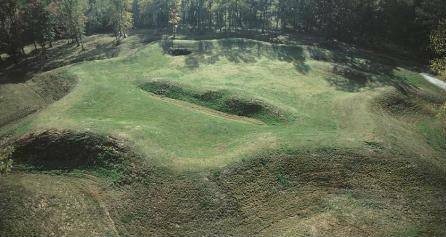 General Greene and 1,000 men laid siege to Ninety-Six, the central fortification of which was an 8 point star fort, called the Star Fort, with 14 foot walls. The fort was surrounded with a large ditch and abattis, which are large logs sharpened to a point and buried in the ground at an angle toward the attackers. The Polish Colonel Thaddeus Kosciuszko was Greene's chief engineer in charge of the siege, which required digging ditches near the fort which would provide places for the attacking forces to hide. Such a strategy usually entailed digging ditches closer and closer to the intended target. By June 3, the Patriots were within 30 yards of the fort. They then built a Maham Tower, which is a tall tower on which riflemen could stand and fire down into the fort. British Lieutenant Colonel John Cruger, in charge of Ninety-Six, blocked the fire from the tower by raising the height of the walls with sandbags. He also tried to burn the tower down with heated shot, but that was unsuccessful. Greene fired burning arrows into the fort, but Cruger countered this by removing the roofs of the buildings. On June 7, Greene was reinforced by Henry Lee and Andrew Pickens after their successful capture of Augusta. On June 11, Greene learned that a large British force under Lord Francis Rawdon was coming from Charleston to rescue Ninety-Six from the siege. This put General Greene in the difficult position of either needing to successfully finish the attack soon or of retreating to get away before Lord Rawdon arrived. On June 18, Greene led an all-out attack on Ninety-Six, hoping to capture the fort before Rawdon arrived. It was a bloody attack, much of it fought with bayonets hand to hand. Greene was successful at first in taking an outer redoubt, breaking through the abattis and removing the sandbags for the riflemen on the tower. Ultimately though, Cruger was successful in driving the attackers back. The following day, Greene led his men in retreat as Rawdon's force was only 30 miles away. Rawdon sent a force after Greene, but they soon came back after the exhausting march from Charleston. Having lost many of his inland posts and with the increase in patriot activity, Rawdon believed Ninety-Six was indefensible and abandoned the fort, the last major British inland post to fall in the south. Rawdon then marched back to Charleston with the rescued Loyalists, many of whom would eventually flee the country at the end of the war and end up settling in a town they named "Rawdon" in Nova Scotia.